I love dragonflies, they always remind me a summer day trips. This beautiful blanket with dragonflies motif will be a perfect gift for a baby shower. It can be also or a very pretty throw to make you cozy during summer nights. 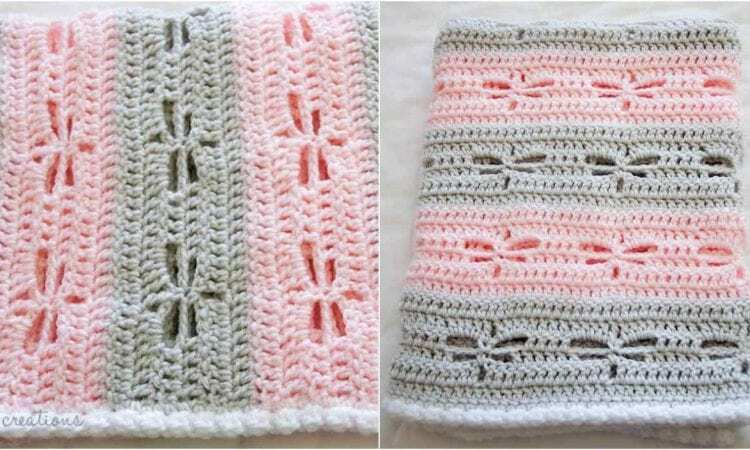 Pattern is very easy and grows up very quickly. For more free designs every day follow us on Facebook. The Link to the pattern is below. Dragonfly Blanket – visit the free pattern site and go here , here or see here for more yarn and hook details.